﻿ Salted Peanut Butter Fudge - I AM Co.
No sugar, no butter fudge! 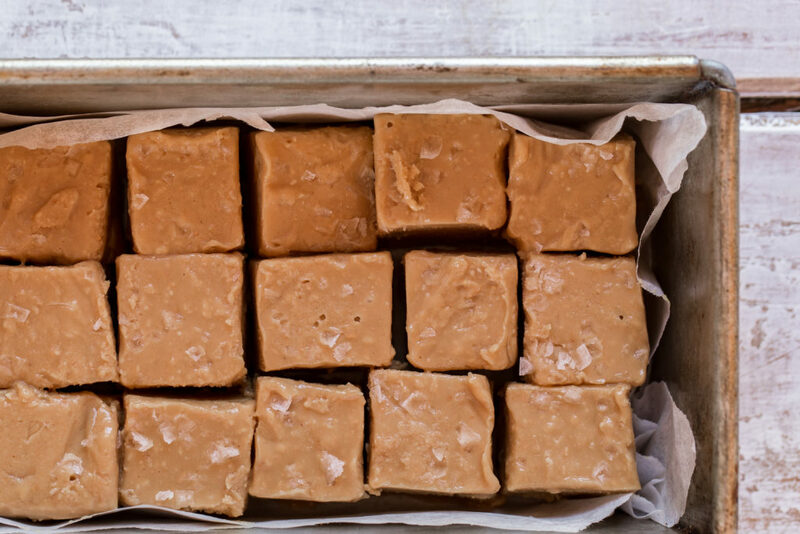 Introducing you to a little recipe that we make way more often than we care to admit—Salted Peanut Butter fudge. It’s our absolute favourite healthy dessert (in moderation, of course). 1. Melt the coconut oil and rice malt syrup in a saucepan on low heat. 2. Stir in the peanut butter and vanilla and mix until well combined and smooth. 3. Pour the mixture into a lined baking tin and sprinkle with flaky sea salt, place in freezer to set for 1-2 hours. 4. Once set, remove and cut into bite sized pieces. Store in the fridge or freezer.